Can a seller give a counteroffer over the asking price? (It seems strange—if the seller thought the home was worth more, maybe he should have started with a higher asking price.) Well, the short answer is yes. That, of course, is one of the difficulties of finding the right price for a home. Unless sellers get all-cash offers, they want to get the most they can for their property without going too high for the appraiser, making it impossible for buyers to get their loan approved. Here are some reasons sellers might counter an offer with an amount above their asking price. One reason why a seller’s counteroffer might be over asking price is if the seller wants to fold the closing costs into the home’s price. A higher counteroffer means the seller is telling you that he’s not willing to pay the cost of closing, but can add it to the price of the home so that it is covered by your mortgage. It’s one way to get the deal done if the seller likes your offer but you’re short on cash to pay for all of the closing costs. This does pave the way for some potential complications, however. Also, it means you’ll be paying interest on that money, which will add even more to your total cost of homeownership in the long run. A seller who has received multiple offers might believe that his initial asking price was too low. All the interest from potential buyers might sway him to ask for a new, higher price. If that’s the case, the seller will likely counter with an amount higher than your offer. If the seller does prefer your offer but is hoping you can match another buyer’s offer, he might counter for a higher price. These situations aren’t common, but there are a lot of “what if” scenarios that could explain a seller’s behavior. Rather than guessing, your agent should be talking to the listing agent to get as much information as possible about the counteroffer. There are many strategies for pricing homes that savvy listing agents use. 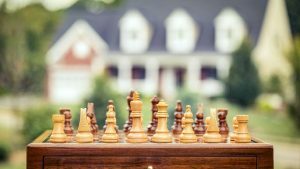 In some competitive markets, they will intentionally price homes low to draw more interest, with the hope of inspiring multiple offers or a bidding war. Instead of focusing on the asking price, focus on what you are willing to pay, and what your agent’s comps indicate is a reasonable price in your market.